Young Japanese star Shohei Otani has hired Creative Artists Agency (CAA) to represent him in his planned move to the majors, according to Dylan Hernandez of the Los Angeles Times (via Twitter). Nez Balelo will be the lead agent, per the report, who’ll help steward Otani through what promises to be a fascinating process. While news of an agency choice is rarely outwardly exciting, it’s particularly notable in this case. Otani is severely limited in what he can earn, but will be looking for a team that suits his other preferences — the precise nature of which remain unknown, but which reportedly include a preference to see time as a hitter as well as a pitcher. His representation will also be advising him about marketing and other earning opportunities as well as the possibility of ultimately securing a long-term contract of the type he cannot now obtain due to the international signing restrictions. CAA, one of the larger agencies in the sport, evidently beat out several other major competitors to land Otani as a client. Some of the outfit’s notable clients include Japanese players Nori Aoki and Junichi Tazawa. CAA has negotiated quite a few significant extensions, including big contracts for Ryan Braun, Matt Cain, Adam Jones, Buster Posey, and Ryan Zimmerman along with more recent deals for Stephen Piscotty and Jean Segura. The agency also worked on contracts for Robinson Cano, Yoenis Cespedes, and Rusney Castillo in the course of its former partnership with Roc Nation Sports. While Otani’s reps work to sort out the transfer situation, teams will no doubt be interested in beginning to learn just what Otani will base his decision on if and when he’s formally made available by his current team, the Nippon Ham Fighters. Many have speculated on the points of a decision — the availability of a DH slot, geography, a history of successful Japanese players, willingness to do a significant early extension, etc. — but as of yet nobody really knows how the two-way talent will make up his mind. As always, you can find the most up-to-date MLB agency information in MLBTR’s Agency Database. He can still pitch and play as a DH in AL teams too. His preference is to be able to play as a hitter more than once in every five days. Then an AL team with a DH opening will be his best fit. Not an NL team. Not really. Add up his AB’s as a starting pitcher, one AB in virtually every other game as a pinch-hitter (assuming he’s any good as a hitter)., and throw in the odd start at 1B, and I think you can easily exceed what you get as a part-time DH in the AL. Unless he’s incredibly good with the bat, no AL team is going to make him a full-time DH. I don’t think the DH has to hit for the pitcher. Otani could hit for himself when he’s pitching in the AL and the team could use the DH spot to hit for the weakest hitter in the rest of the lineup. Give Otani an all glove/ no bat personal catcher like Sandy Leon and just let Hanley hit for Leon that day. Rule 5.11 states the DH bats in place or the pitcher only. Oh man I have not thought of Ohtani hitting for himself in the AL. DHing a weak bat is a great idea too if you have a defensive specialist ss/cf. DH can only bat for the pitcher. It’s in the rules. He can DH every day that he is not pitching and I believe even days that he is pitching. When he isn’t DHing he will be in the outfield here and there. He’s going to an AL team. DH is coming o NL.. my guess is when they add 2 more teams and realign leagues & divisions. That brings up something interesting. If Otani bats for himself then there is no DH. If he leaves the game as a pitcher the pitcher who replaces him would then be in that spot. The team would be operating under NL rules. That’d put the team at a distinct disadvantage late in games. Joe Maddon. Nuff said. His record proves he will get him a ton of AB’s. He could pinch hit and come in as a double switch. He could be a reliever and rack up 1-2-3 AB’s in games as a reliever. Or if he starts and finds a position (LF?) and pinch hits etc. man that would be fun and interesting to watch. Not this year OR next. So irrelevant here. I think your correct, I remember seeing the same rule that an AL starting pitcher can hit for himself but the team has to forfeit the DH at the beginning and for the entire game. So the AL team would be playing the game as an NL team, and any relief pitcher that comes in the game would have to hit. Late in the game, the manager would likely pinch hit for the relievers, just as they do in the AL. Not a big deal for one out of every 5 games, at least if Otani is as good as advertised. What I meant by “have to hit” is THE pitchers spot in the order will always come up for the rest of the game. Of course the team would pinch hit for the pitcher. Against the rules! DH for pitcher ONLY! Fair enough, but you seem to be making it out as if that’s a big deal, and a bar for entry to an AL club. If he’s as good as he’s being billed, AL teams will happily use pinch hitters for a handful of bats a week. If hitting is what he wants to do, he’s going to an AL team. Darn. There are only two Japanese-English interpreters in the world. So do most Major League Baseball organizations. Agreed, the Yanks will give him the most exposure, they have a short right field for him as a DH, and they need another top end young starter. He is a perfect fit. In the end Ohtani will pick where he goes from what I heard. They will also have the money to give him a big contract down the road, and they have proven to do so. Every team needs a top end young starter. Let’s see big city with tons of endorsements to make up for the millions he is leaving behind coming over to MLB early. Let’s see, a west coast team closest to Japan with Japanese ownership and a history of bringing Japanese players over. Mariners check all the boxes. Mariners seem to make a lot of sense. The Yankees have had tons of Japanese players also. Mariners are not ready to win. If he’s forfeiting money to come over now, he’ll want to join a team expected to contend for the next 3-5 years. That eliminates quite a few teams, and puts the Yankees, Dodgers, Astros, and Cubs at the top of the heap. Down votes without offering a reason why my statement is off. Typical. He wants to pitch and hit why are you people mentioning AL teams? Confused unless the AL allows a pitcher to hit all all of a sudden! The NL has no DH. A NL team won’t let him play the field while an AL team can DH him on non starting days. There is no rule that says a pitcher can’t bat for himself. Plus he can DH between starts rather than take a chance getting hurt playing in the field. The AL makes the most sense. The AL does allow pitchers to hit. smh. I’d hope the Yankees can sign him! He may be that piece of the puzzle that they need if he is as advertised!!! Is Otami also supposed to be this good? He is the best hitter and pitcher in Japan who wants to do both in the majors. Doesn’t necessarily mean he will do both in The MLB. Or at least do both good. Obviously will have to be a NL team since he wants to pitch and hit. I pray the Dodgers are all over this. Only way he comes to the Dodgers is if he can play LF. I wouldn’t rule that out since he is a freak athlete. I think just the opposite, the AL has the DH, he can pitch and DH. This dude will be a Seattle Mariner. Otani is a Paul Heyman kind of guy. He’ll go where ever he feels. Just play wheel of fortune and that’s how he’ll pick his MLB team. JK he’ll be on a decent team. No source, but I saw he can handle his own in the outfield. It’s just whether a team wants the injury risk with his recently surgically repaired ankle. Come to Cleveland. Francona will use you everywhere. anyone else noticed he only pitched in 5 games last season? what was the reasoning behind that? He hurt his leg early in the season. Bothered him all year. Come to the north side of Chicago Maddon can platoon him in right or left and then trade schwarber and Russell and another prospect or two for Archer. Does this mean he’s guaranteed to go to an NL team? That would make the most sense if he wants to hit. He could probably get more ABs in the AL since he could hit for himself on starts and DH a few games in between. He wants to hit on days WHEN HE IS NOT PITCHING. A National league team would have to play him in the field, while an American league team could protect the investment in the DH slot. The question is whether he wants to DH. What is your team/city offering Otani that the other 29 teams/cities can’t/won’t offer? The familiarity/confirmation bias is crushing me. 1. Major market – not just the city but the entire country. 2. Have reportedly said they would allow Otani to pitch and hit, and they have openings in the OF and likely will make room at DH by moving Morales. 3. Minori Kawasaki has spoken highly of the city, which would offer him a cosmopolitan atmosphere and the privacy he seems to desire. 4. Would be part of an exciting, young core that includes Stroman, Sanchez, Vlad Jr., and Bichette. Otani with the latter two could form a fearsome three-headed monster right through to 2030. Vlad jr and Bichett are years away! Their ETAs are 2019. That’s hardly “years away”. They’ll likely start 2018 in AA, or be moved up early in the year if they continue to crush high-A pitching like they did this season. Both Guerrero and Bichette spent most of the season in low A. With how young they both are it’d be overly aggressive to start either in AA. If both perform very well they should finish in AA. If both perform very well again in 2019 they could hit the big leagues late that year. Of course, many minor leaguers aren’t linear. There are always hiccups. When J.P. Crawford was 19 he played half the season in low A and the other half in high A. He was a top 20 prospect and had a very good season at age 20, spending most of it in AA. At age 21 he played well at AA and then got a promotion to AAA. He didn’t hit. If everything had gone perfect he would’ve been in the majors. If Crawford had gone the path you expect for Bichette and Guerrero, then 2019 would be a good estimate. Crawford took an additional year to get to the big leagues and arrived in September. He may be the starter this year. While his defense is stellar and he walks a lot, his game still needs to be refined. If they follow this path, Bichette and Guerrero would be starters in 2021 although no one would know for sure how quickly they’d be good. There are players who will rise as quickly as Ronald Acuna but you can’t pick out who they are. If one of these two does rise fast the odds are the other will go slower due to injury or a need for more development time. Or maybe both. Why has nobody mentioned the Houston Astros?? People are mentioning their teams and how good a fit they’d be but we don’t know if any of those things matter to Otani. Any team can afford him because he has to fit into slot money. Every team will promise him time at DH. I’m sure he wants to win but is he looking for a team that’s already won or maybe he figures he can help a team that hasn’t won. No one knows what’ll go into his decision. You obviously know nothing about Japanese culture. You can’t even spell his name correctly. Ontani’s main focus is not how much a team is willing to give him. It’s more like how many at bats they’re willing to give him. Money is a second thought to him. Otani’s main focus is not how much a team is willing to give him. It’s more like how many at bats they’re willing to give him. Money is a second thought to him. I don’t know if my Cubs sign him, it I bet they are one of the finalists. But wouldn’t hitter friendly parks negatively impact his pitching? Who ever signs Yu Darvish will get Otani. He has already said numerous times he wants to play with his idol. One of the reasons why the Dodgers traded for Darvish hoping he will resign. Link to that information please. I have read multiple places that Darvish & Otani are friends. They even work out together. But I’m not sure whoever signs Darvish will get Otani. Astros are pushing for Darvish as well, regardless of how the postseason went. It would be killer to get both of them! One good year does not a dynasty make. Lots can change in 1 years time, especially in baseball. They certainly could….as well as any team that has been successful which was my point. Whats your point? divebomber911 said “If he wants to win I’m pretty sure the Astros are the best spot” I don’t think he was insinuating they were a dynasty in the making,just a proven winner he hopes gets Ohtani like fans of other teams. I think you’re a Yankees fan so I ask you this.. With all these supposed Yankee fans on here insinuating Ohtani is a lock for NY why would he choose them over a defending WS champion? Well I am a proud Yankee fan, I have to admit. And, no I don’t think he is a lock for the Yankees. As far as why not join the World Series champion that was in 2017, and he wasn’t a part of that team, and its a bit early to crown them as the 2018 champion as there are a lot of teams that will have something to say about that come next season. Further I do think the Yankees can offer something Houston can’t! Marketing endorsement $$$ dollars…as he is going to be locked into a salary that is far less than what he might make as a free agent in this market and looking to make up some of the difference in how he can market himself. Not saying that Houston doesn’t have appeal, but what kind of home town endorsement money can they offer? Simply doesn’t match up with the potential of frankly either coast let alone the greater NY market. What teams still have signing restrictions? Or did that change with the newest round of changes? People keep forgetting about Houston. We’re looking at Darvish AND Otani. Don’t count us out yet, especially if he wants to WIN. I think what everyone is saying is Ohtani is wanted by all teams and he can pick the team he wants to go to. With one exception: I’m pretty sure the Marlins won’t be signing him. 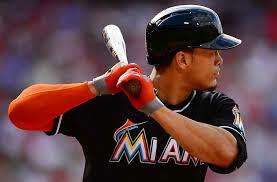 Why does it seem that a lot of people seem to forget that you dont have to have a DH in the American League? Theres probably hundreds of comments that say something like “oh if he wants to pitch and hit hes going to have to go to NL” as if he somehow wouldnt be able to hit in the AL when thats just not true. I would think teams would want a DH when he pitches so they don’t lose the DH when he is taken out of the game and then let him DH like 3 games between starts. How many teams have an open DH spot to let him do this? White Sox for sure but there has to be others. Can he hit MLB pitching????????? Why downvote this guys post? NOBODY KNOWS and Please don’t use the WBC as an example…. 1. No one knows whether he prefers an AL team to an NL team although AL teams have DH at bats. 5. MLB and NPB still need to finalize the posting system for Otani to come. Without any more knowledge I don’t see why all 30 teams shouldn’t inquire. Well I guess that shows what Buster knows! People talk about a player going to the Yankees because endorsements are bigger. They really aren’t. In 2016 only David Ortiz was among the top 50 athletes in endorsement money. Number 2 was Buster Posey at $3 million. He was followed by Robinson Cano, Miguel Cabrera, and Albert Pujols. The number one Yankee was Tanaka at $1 million. His deal was with Mizuno, a Japanese company. Otani is going to get Japanese endorsements no matter where he plays. CC Sabathia earned $700k and it mostly came from companies like EA Sports and BODYARMOR. He’d get those no matter where he plays. When you consider how much these guys are making I doubt being able to make an extra $100k on endorsements will influence where a player plays. I think the Yankees will ultimate sign Otani, and I think they have the best fit. He’s young and cost controllable. They also have Tanaka who can help guide him. And he’ll DH some. Otani is younger than Rhys Hoskins. Philly is a perfect fit.